Educational – B-D Construction, Inc.
Twin River Public Schools serves the Genoa, Monroe and Silver Creek communities with a centralized K-12 school. The district wanted to address crowded and aging spaces but could not pass a bond issue to fund a full renovation and expansion of its facility. The design included a 12,000 square foot freestanding facility to house two technology-rich science classrooms as well as a laboratory, two math classrooms, a distance learning classroom and two computer labs. The science laboratory and prep area is located between the science classrooms, which allows for easy transition from lecture to lab. A circulation corridor divides the science and math areas from the distance learning center and computer labs. A raised ceiling with clerestory windows bathes the interior space with natural light to create a more stimulating environment. The facility was completed in 2015. The Emerson School project involved the construction of a new elementary school and the subsequent demolition of the existing structure. The existing school was occupied for the duration of construction; therefore seperation and safety were of utmost importance. We used fencing and barricades to maintain seperation between the construction site and areas utilized by students and faculty. The new school and playground were laid out across an existing street; special considerations were made in regard to traffic flow and signage in preparation for the close of that street. Emerson Elementary school was a two-track, two-story, masonry building. A tight site led to the two-story design. After completion of construction, the existing Emerson school building was demolished and the site reclaimed for play area. Milford Public Schools wanted to build a new competition gymnasium, music room suite and auditorium. After two failed bond election attempts, the district hired B-D Construction, Inc. as the construction manager. We prepared our own estimates for the owner, utilizing different roof systems and wall construction methods. After reviewing the options with the district, a new bond election budget was set. 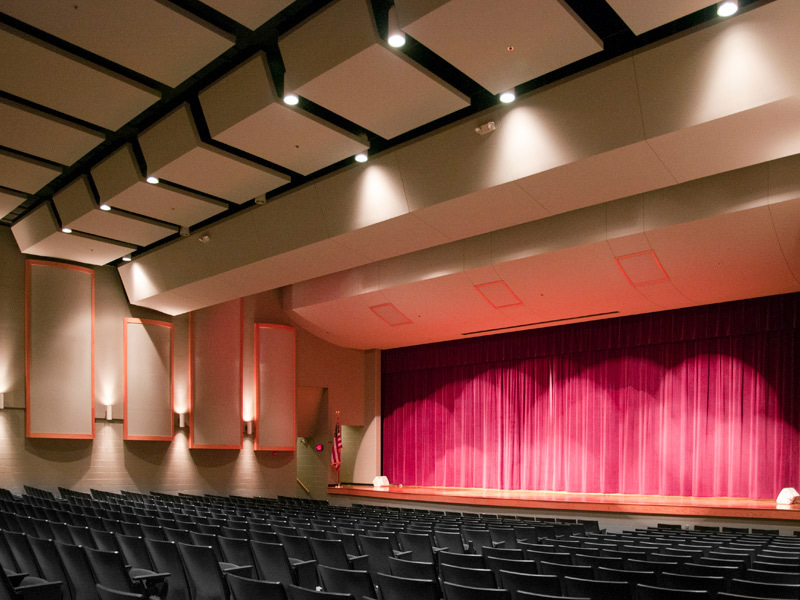 The board decided at the time of the bond election that the cost to finish the auditorium would not allow the voters to pass the bond. A decision was made to construct the exterior building shell only for the auditorium. 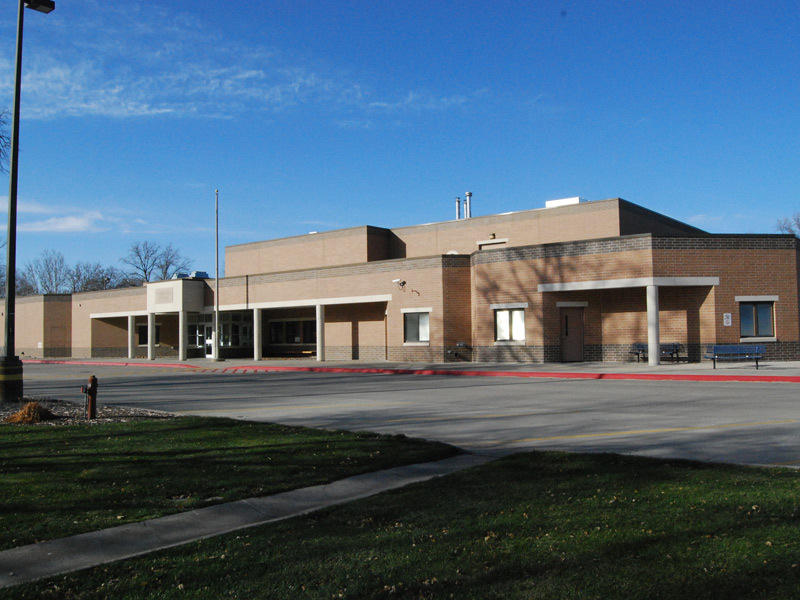 The bond issue passed, and the remaining design of the project began as well as construction. Shortly after construction had begun, private donors offered the funds to finish the auditorium rather than just construct the shell. The budget was based on using a pre-engineered S-Span roof system, clear spanning the gymnasium portion of the project with the roof system being supported by conventionally constructed walls. Other portions of the project had a standing seam roof system installed over conventional structural steel. Having experience in all of these types of construction, and more specifically the S-Span system, we worked with the design team to resolve construction details prior to completion of working drawings.